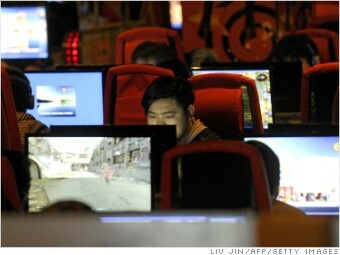 Forget Facebook and Twitter and take a look at five companies shaping China's Internet culture. The Internet has come a long way since the days of dial-up and desktop instant messaging. And the companies that shaped web culture have become so embedded in daily life that their names have become verbs -- Facebook (FB) me! Just Google (GOOG) it! In China, American companies are something of an afterthought. Instead, a group of homegrown firms are powering ahead with innovations of their own. Surging investor interest is pushing the value of these Chinese Internet companies through the roof -- and some are considering expansion into other markets. Here's a look at some of the major companies shaping China's virtual landscape.